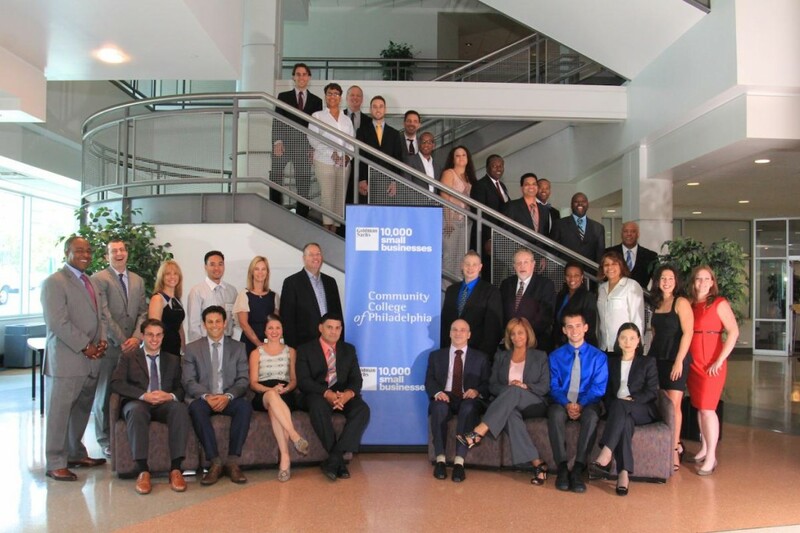 On August 22, 2014, 32 Philadelphia entrepreneurs, the largest class for Philadelphia so far, graduated from the Goldman Sachs 10,000 Small Businesses education program at the Community College of Philadelphia, bringing the total number of scholars to 110. Goldman Sachs 10,000 Small Businesses at Community College of Philadelphia is a practical business education program that gives entrepreneurs valuable skills for growing their businesses, the opportunity to access financial capital, powerful networking opportunities and more, at absolutely no cost to participants. Community College of Philadelphia is now accepting applications from eligible small business owners for the next Cohort of Scholars. Small business owners that have been in operation for at least two years, have a minimum of four employees and revenues between $150,000 and $4 million should apply. PIDC is a proud capital partner of Goldman Sachs 10,000 Small Businesses in Philadelphia managing the Working Capital and Equipment Loan, which is generally available to any small businesses located, or planning to locate in Philadelphia. Funds can be used for working capital, machinery and equipment, building improvements, leasehold improvements, real estate acquisition and construction. Cassandra Bailey, president and CEO of Slice Communications; Donahue Bailey, president and CEO of Atrium International, Inc.; Liz Bello, manager and co-owner of Mercer Café; Luis Berrios, president of Locating Utility Infrastructure Services, LLC; William Capers, president and CEO of Pitter Patter Learning Center, LLC; Ken Carter, president and chief operating officer of Supra Office Solutions, Inc.; Bob Christian, president of University City Review, Inc.; Anita Conner, owner of Anita T. Conner & Associates, PC; Daniel Culp, chief operating officer of Pride Klean; C. Katherine DeStefano, CEO of New Horizons Counseling Services, Inc.; John Fleming, managing member of Fleming Consulting, LLC; Jossi Fritz-Mauer, co-executive director of the Energy Co-Op; Kevin Gatto, president of Verde Salon Inc.; Farelen Gonzalez, facility director of Casa de Consejeria y Salud Integral Inc.; Raymond Jones, CEO of We See You, LLC; Patrick Kelly, owner and president of Stein Your Florist, Co.; Srini Lokula, president of Ram Tech Systems, Inc.; Andrew Magnus, president of BTC Envelopes and Printing, LLC; Kariema Milligan, president of Milligan Group LLC; Chris Molieri, co-owner of Greenstreet Coffee Roasters; Colin O’Neil, vice president of Bookbinder Specialties, LLC; Katie O’Neill, co-owner and creative director of Mushmina; David Rose, president of Brio Solutions; Scott Seltzer, president of ConnectMe; April Slobodrian, president of Northeast Construction, Inc.; Michael Smith, president of Round 2 Lighting, LLC; Blane Stoddart, president and CEO of BFW Group, LLC; Zach Stone, chief strategy officer of Red Kite Consulting, Inc.; Andy Truong, president and CEO of Greendog Recycling Inc.; Jean Wang, president of Quantum, Inc.; Yvette Watts, general manager of Watts Window Cleaning & Janitorial Co., Inc.; Theresa Williams, administrator of Around the Clock Home Health Care Services. Applications for the next education round are due October 6, 2014. 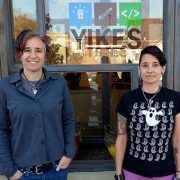 For more information on the 10,000 Small Businesses education program please visit ccp.edu/10KSB . For more information on the Working Capital and Equipment Loan please contact Chamor Hollinger at 215-496-8157 or chollinger@pidc-pa.org .